ATLANTA, GEORGIA (USA). Well-established, hospital based private practice group in the Atlanta Metropolitan area is looking for an AP/CP BC or BE part-time pathologist. We provide on-site professional services to four area hospitals. The ideal candidate will have excellent communication skills, strong anatomic pathology skills (including non-gyn cytology and bone marrow/lymph nodes - no flow cytometry interpretation is required) as well as experience in general clinical pathology (peripheral blood smears, transfusion reactions, etc.). There is no night or weekend call. Additional training or experience in Hematopathology or Gastrointestinal is desirable, but all subspecialties and those with significant work experience are encouraged to apply. Qualified recent graduates will also be considered. ATLANTA, GEORGIA (USA). The Pathology Department of WellStar Health System has an opening for a BC/BE pathologist to join us at North Fulton Hospital in Roswell, Georgia. The position involves general responsibilities in anatomic and clinical pathology. The applicant should have at least one year of post-graduate experience. 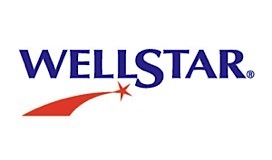 WellStar Health System consists of eleven not-for-profit hospitals located primarily in suburban Atlanta. The applicant must be board certified or board eligible in anatomic and clinical pathology. Responsibilities include an interesting array of surgical cases, bone marrow biopsies, frozen section diagnoses, STAT non-gyn cytology evaluations, assorted conferences, and consultation in fully automated laboratories. The applicant needs to meet requirement to be a general AP/CP Laboratory Director. Competitive salary. Comprehensive benefits package to include malpractice coverage, medical/dental/vision insurance, disability/life insurance, 403b plus defined pension plan, and vacation/sick/CME allowance. To apply, please visit our website https://careers-wellstar.icims.com/jobs/22860/physician---pathologist-at-north-fulton/job?mode=view. AUGUSTA, GEORGIA (USA). The Medical College of Georgia at Augusta University, Department of Pathology invites applications at the rank of Assistant Professor for an individual with strong diagnostic skills for a full time faculty position. Applicants should have an MD degree or equivalent, and be board certified in Anatomic Pathology. Expertise or subspecialty fellowship training in GYN pathology or other area is desirable but not essential. The successful candidate will be expected to participate in a general surgical pathology service. This individual will be involved in resident and medical student teaching and is expected to undertake academic pursuits in his/her area of interest. Georgia license or eligibility for licensure to practice medicine in Georgia is required. External applicants should use the online application process found at http://www.augusta.edu/hr/jobs/faculty/index.php, referencing position #00009661 and internal applicants should apply using https://www.augusta.edu/hr/jobs/university/, referencing position #00009661. In addition, you may contact Debra Wright, Medical College of Georgia, BF-104, 1120 15th Street, Augusta, Georgia, 30912 or dewright@augusta.edu with any questions about the online application process. The Medical College of Georgia is a Minority/Female/Veterans: Equal Employment Opportunity, Affirmative Action, and Americans with Disabilities Act Employer.